Like a bespoke suit, this bag was hand-cut and constructed using traditional methods in British brand Chapman’s Carlisle workshops. With military-grade adjustable cotton straps, and bonded canvas that’s durable and waterproof, this rucksack is stylish enough for the commute, but practical enough for a full day’s hiking. 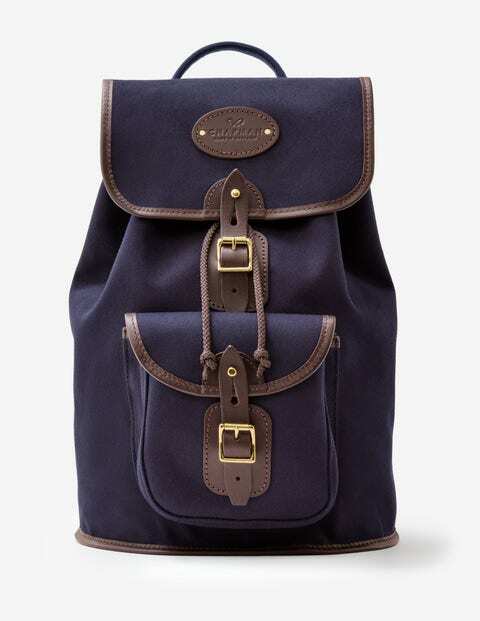 The buckles and inner drawstring will keep all your belongings safe, plus we’ve added a Boden-exclusive contrast brushed-twill lining on the inside.